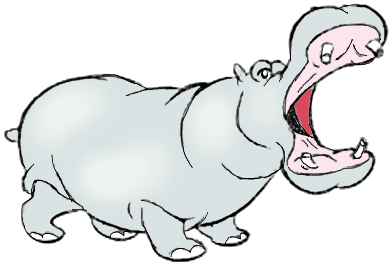 Today we will show you how to draw a cartoon hippopotamus who is opening his mouth wide. 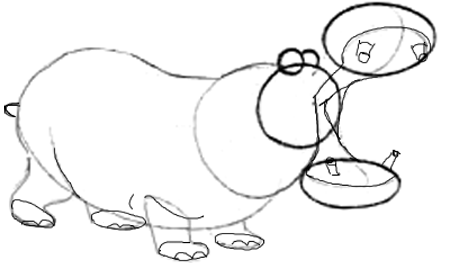 Below you will find easy step by step drawing instructions that you can follow to draw him too. 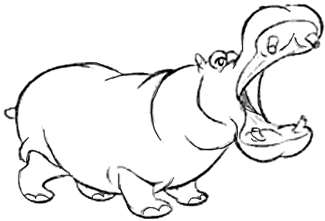 First start by drawing a lima bean or a kidney bean shape for the Hippo’s body. 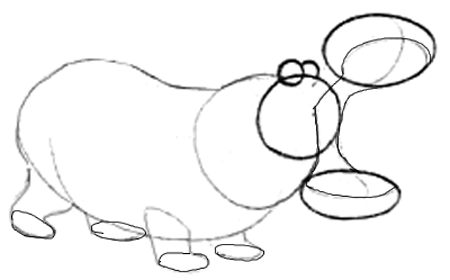 Now draw a circle for the head…with a circle for each eye at the top of the head. 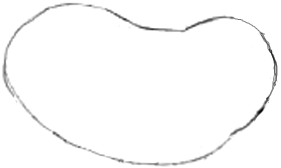 Then draw 2 ovals …one larger above the head, and one smaller, below the head. Now draw a curved line in the top and bottom oval. Also connect the top oval to the bottom oval. 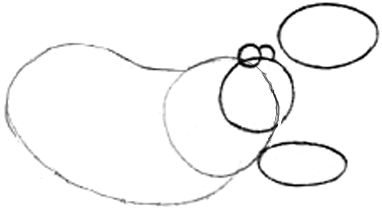 Draw legs by drawing ovals for feet and then connecting them to the body. Draw letter ‘m’ shapes-or humps- for toe nails. Draw a letter ‘c’ for the tail. Draw cylinders for teeth (I’m sorry for the messy drawing – I’m using a mouse today). Add a few finishing details…such as the top of the mouth is a sideways ‘3’ and the bottom is also a sideways ‘3’. Draw a black circle with a white circle inside for teh eye. 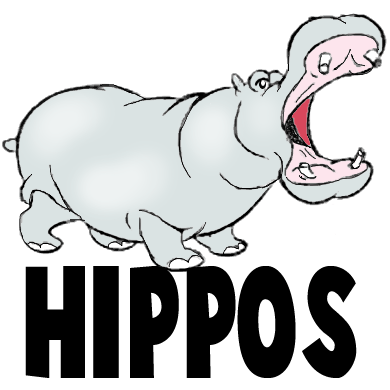 This is what the hippo looks like in color.